Dr. Glencer has been the owner, director, and managing veterinarian of the Ypsilanti Animal Clinic since August 1981. A Ypsilanti native, he attended Michigan State University where he earned a Bachelors of Science in Pre-Veterinary Medicine. Graduating with honors, he continued to excel academically at Michigan State University School of Veterinary Medicine where he earned his Doctorate of Veterinary Medicine with honors in 1972. An elected member of the Society of Phi Zeta, the veterinary honor society, Dr. Glencer was able to easily transition his academic excellence to the practice of high quality veterinary medicine. Dr. Glencer practiced in Ann Arbor for two years before heading to California where he spent five years as a staff/managing veterinarian before purchasing Hamilton Animal Clinic in Huntington Beach, California in 1979. Returning home to Michigan in 1981, he purchased Ypsilanti Animal Clinic where he has been serving as medical director and managing veterinarian. Dr. Glencer enjoys all aspects of being a general practitioner and voluntarily maintains membership in the American Veterinary Medical Association, the Michigan Veterinary Medical Association, and the American Animal Hospital Association. 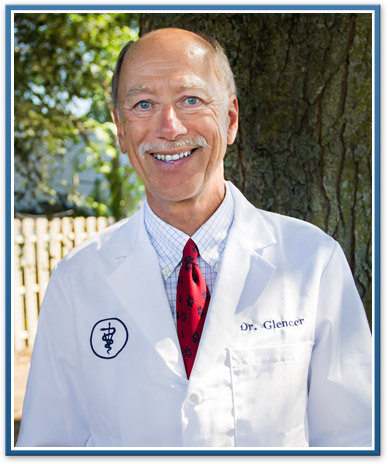 Dr. Glencer shares his home with Shadow Rose, his golden retriever and his two cats, Tiger Lily and Patches. Extremely active outside the practice, he enjoys downhill skiing, water skiing, bicycling, hiking, traveling and reading. 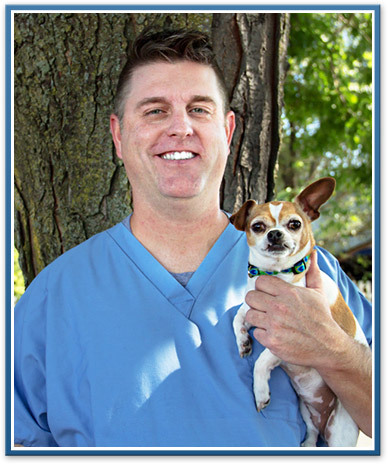 Dr. Kunoff has been an associate veterinarian at Ypsilanti Animal Clinic since May 2001. A native of Bloomington, Indiana, he was awarded a B.S. in Biology with honors from Indiana University in 1993. He attended Michigan State University School of Veterinary Medicine and earned his Doctorate of Veterinary Medicine in 2001. A member of both the Michigan Veterinary Medical Association and the American Veterinary Medical Association, Dr. Kunoff has professional interests in ophthalmology in addition to general veterinary medicine. When not at practice, Dr. Kunoff enjoys hiking, skateboarding, and playing disc golf. Maya, his Labrador Retriever, Margo, his Chihuahua, and Agnes, his Sheltie/Rat Terrier mix, keep him on his toes.